Not sure if you have read my blog post on what our software does, you can find it here Meribook - the pdf ebook killer! If you haven't read the post you should and you'll see that the story there is completely made up to grab attention while still showing how the software is used. 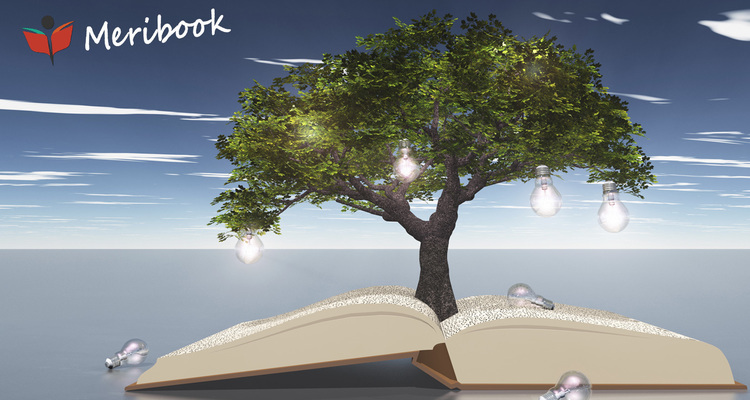 But today, I wanted to share with you our real Meribook story! How Meribook was born in December of 2014! You see, I have been running Jazzy Marketing as a web design firm since 2005. It was a hobby, freelance work at first while I still had a 'job' and as time went on it became clear that I needed to take the plunge. So, in 2010 I moved from Chicago to Hyderabad, India, my home town and set up shop. The website projects we got, we did them in what I knew well - Drupal. Sadiq, the co-creator of Meribook is a core "Ruby on Rails" guy and loves the Basecamp Story. The truth is, even though I have heard many times from Sadiq the "programmer happiness" mantra that is in the RoR community, today is the first time I have actually searched for the "basecamp story" and read the Basecamp Story. You see, we were frustrated like Jason from Basecamp having tried various project management softwares to organize our work, but always reverting back to our old inefficient ways. I have attempted at my own "Project Management" type system... named iKeeperOnline, first in PHP back in 2005 and then again in Drupal in 2013 along with Sadiq. iKeeper never actually took hold even with us for many reasons, but in this frustration to better organize, Sadiq banged up a prototype of Meribook in I think 10 days or so. The prototype was not a Project Management tool, but a "Knowledge Management" solution... Yet another thing that was frustrating us. Ruby on Rails behind Meribook! But "I'm a happy programmer"! And here is my "happy knowledge management solution!" Storing of knowledge does not get simpler than this! Now, don't make it complicated! I guess, it would be correct to assume that Sadiq is a very "happy programmer" :) because the prototype did not need a lot of convincing. The UI was simple and efficient! December 2015 - Meribook officially became the PDF eBook Killer! So, there you have it... That's The Meribook Story! It has changed the way we do business. We are now more confident in our abilities "To Help You Grow Your Business And Ours Online!" It's been an amazing experience working on Meribook! I hope it helps you Document. Distribute. Profit. ALAUDDIN AHMED WROTE this on Feb 25 There are 0 COMMENTS.